Below is a short, must-read piece from Marco Simons, Legal Director of Washington DC-based EarthRights International (ERI), a "nonprofit organization that combines the power of law and the power of people in defense of human rights and the environment," as ERI's mission states. For nearly twenty years, ERI has provided legal support for oppressed and marginalized communities, often fighting exploitation by multinational corporations and their allies intent on plundering their natural environments for profit. From Burma to Nigeria to the Amazon, ERI's lawyers, activists, and advocacy trainers have done inspiring work—inspired itself by a deep and abiding commitment to fairness, justice, and equity. That's what Marco is talking about in his conclusion. Read for yourself. Yesterday, BusinessWeek picked up on Michelle's blog post from last week highlighting the inconsistent positions taken by Gibson Dunn, the law firm that represents Chevron, on an issue that is central to Chevron's case against attorney Steven Donziger. Paul Barrett's article confirms that Gibson Dunn is arguing both sides of the issue, but says that this isn't a problem because "That, for better or worse, is what lawyers do." Perhaps unintentionally, Barrett makes a pretty strong case for why you want lawyers who believe in your case. Barrett has done us a service in confirming that, according to Gibson Dunn, Chevron allowed their lawyers to argue against them in another case. So Gibson Dunn may not be unethical, but Chevron might be a little stupid. Barrett also conveniently overlooks the fact that Gibson Dunn is not simply taking different positions in different cases – it's arguing against Chevron's position in another case that, because it is at the Second Circuit Court of Appeals, will be binding on the lower court deciding the Chevron case. Barrett is right that the rules allow Gibson Dunn to take a position in one case that could harm or even destroy their legal position in the Chevron v. Donziger lawsuit, as long as Chevron agrees. Doing so, however, doesn't bolster their credibility. It's generally more effective to convince a judge that you actually believe in the position you're taking, not that you'll simply "argue either way, depending on the interests of whoever is paying [your] bill," as Barrett describes it. As lawyers who take cases that we believe in, arguing positions that we believe are correct, I and my co-counsel don't have to face the dilemma that Gibson Dunn faces – and we don't face judges who are skeptical of our positions because they think we're simply hired guns. Sure the rules allow us to argue any position supported by the law, but if it were your case, wouldn't you want lawyers who actually believed what they were saying? Chevron: "Let Them Eat Pizza!" Originally posted on Amazon Watch's Eye on the Amazon blog. By Paul Paz y Miño. Would people really offer a coupon for a free pizza and soda to families who just had a gas well blow up in their community, killing a worker and burning for days? People did. 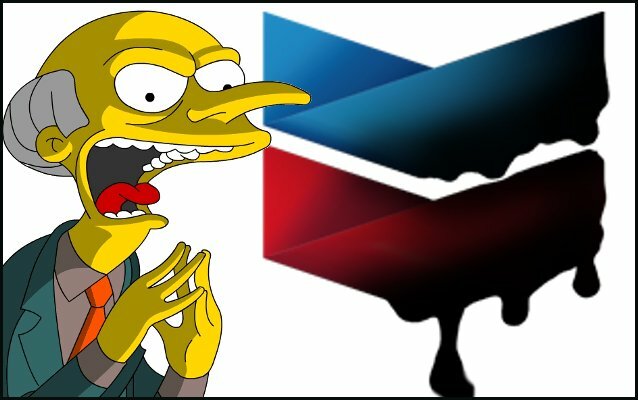 In a move that would make Montgomery Burns proud, Chevron "apologized" to the community for the massive explosion of their fracking well in rural Pennsylvania by offering each affected family a coupon for free pizza from a local pizza joint. This is one of those rare glimpses into a corporation's ethos, or lack thereof. Somewhere inside Chevron the decision was made that a $12 large pizza and a two-liter soda was proper compensation, or at least sufficient to pacify people for the "inconvenience" of having a huge explosion and toxic fire in their neighborhood. We called Bobtown Pizza this morning (with a story like this, you really gotta hear it for yourself to believe it) and at this point they are just wishing this whole thing would "blow over" (no pun intended). Chevron's attitude in the US in 2014 has barely evolved from their attitude in 1964 in Ecuador's Amazon rainforest. Back then Chevron told villagers that oil was good for them, to rub it on their joints for arthritis! They sprayed it on the roads to keep down the dust and people walked on it for years, shoeless. All the while they were dumping billions of gallons of toxic waste into pits that drained directly into waterways used for drinking and bathing. Could they get away with that in Pennsylvania today? If it turns out that communities can no longer drink their tap water due to Chevron's fracking, will the company send them coupons for a case of Diet Mountain Dew? We're not easily surprised by Chevron spokespeople saying horrific and ludicrous things anymore, but this was so tone-deaf that even we were impressed. We haven't been so in awe of Chevron's insensitive hubris since Sylvia Garrigo dismissed Ecuadorians' cancer and other severe oil-related health issues on 60 Minutes by saying, "I have makeup on, and there's naturally occurring oil on my face. Doesn't mean that I'm going to get sick from it." Check out this video, Great Moments In Stupid Chevron PR, for similar outrageous statements. The friendly, unsuspecting people at Bobtown Pizza are bearing the brunt of complaints and crank calls due to community outrage. We'd suggest that unhappy citizens instead contact Chevron toll-free. Bobtown Pizza never expected a national backlash and coverage from CNN, Newsweek, and others, but they also weren't aware that Chevron is the largest corporate criminal on the run and on the hook for $9.5 billion in Ecuador. They didn't know that Chevron's Richmond refinery blew up not long ago and that they violated 62 EPA regulations there. They didn't know that over 40 environmental and human rights NGOs recently condemned Chevron's actions and over 100,000 people have sent messages to the US Senate to complain about their abusive legal tactics. And Chevron, just in case you were wondering, the 30,000 Ecuadorians who sued you for polluting their homes and fouling their future will not be appeased by an order of empanadas and a six-pack of Inca Kola. Chevron's "Dream Team" at the Gibson Dunn law firm has yet to come up with an explanation for its monumental mistake last week in undermining the company's RICO case against Ecuadorian villagers and their lawyers. Chevron's team leader at Gibson Dunn, partner Randy Mastro, usually loves spinning to the media. But even he has gone radio silent. Last Friday, another partner at Gibson Dunn—Harvard Law School graduate Miguel Estrada—argued before a panel of judges from the 2nd Circuit Court of Appeals in Manhattan. The case being heard that day had nothing to do with the plight of Ecuadorians living with the toxic legacy of Chevron's pump-and-dump oil operations in their rainforest lands. But the hearing itself—or at least one of the key arguments made—may have an enormous impact on the Chevron-Ecuador case. Chevron probably isn’t too happy with Randy Mastro and the rest of its dream team at Gibson Dunn & Crutcher right now. Gibson Dunn represents Chevron in its “sue the victims” case against a group of Ecuadorian villagers and their attorneys. The Ecuadorians won a $9.5 billion judgment in Ecuador against the company for massive pollution, and Chevron retaliated by filing a law suit under the Racketeering and Corrupt Organizations Act (RICO), claiming the Ecuadorian judgment was obtained through fraud. Last week, however, in a completely separate case, Gibson Dunn may have shot the Chevron case in the foot, arguing to the Second Circuit Court of Appeals that a private party can’t seek an injunction under RICO. This is the opposite of the argument they’ve made in Chevron’s RICO lawsuit in the district court in New York. Of course, in its retaliatory RICO lawsuit against the Ecuadorians and their longtime legal advocate Steven Donziger, Chevron is in fact seeking an injunction. Chevron made three strategic decisions that together strip it of standing: refusing to challenge its liability for the pollution in Ecuador, dropping its damages claim in order to escape a jury trial and asking for a tailored injunction that only blocks Donziger and his Ecuadorean co-defendants from a cut of the multibillion-dollar judgment, rather than a worldwide anti-enforcement injunction. Donziger and the Ecuadorians have argued all along that the RICO statute does not permit private parties to seek injunctive relief. Of course, Chevron—or more accurately, Gibson Dunn's Mastro —has repeatedly argued the opposite. Meanwhile, Judge Lewis A. Kaplan, who has brazenly promoted the Chevron RICO lawsuit, seems to think it's an open question. If it is indeed an open question, it may not be open for much longer. Last Friday, in Sykes v. Mel Harris, Gibson Dunn urged the Second Circuit to “confirm that private RICO claims for injunctive relief fail as a matter of law” – in other words, private plaintiffs cannot seek injunctions under RICO. If Gibson Dunn wins that argument, the decision will control Chevron’s case against Donziger and will doom Chevron in the lower court. This, of course is a major Catch-22 for Chevron, as reporter Adam Klasfeld at Courthouse News wrote last week. Klasfeld concluded that Gibson Dunn's Estrada could "scuttle [Chevron's] efforts" to fight off its $9.5 billion liability in the Ecuador case. "Gibson Dunn is correct to argue that there is no injunctive relief for a private party under the RICO statute," said Gowen, who serves as a legal ethics professor at American University. "The problem for the firm is that by doing so they acknowledge that their prosecution of the Chevron v. Donziger case has been a complete waste of their client's time and money and an abuse of the civil justice system. While I was troubled by the ethical conduct of Gibson Dunn on behalf of Chevron throughout the trial, I never imagined a day where their unethical conduct would destroy their own client's case." The EarthRights blog points out that Gibson Dunn has a conflict of interest. And the party with standing to complain is none other than Chevron, the oil company that reportedly has paid the firm in excess of $1 billion for its work on the Ecuador case. EarthRights points out that Chevron might have a whopper of a legal claim against none other than Mastro and his partners. That would be the ultimate poetic justice: Mastro himself might have to pay part of Chevron's obligations to its victims in Ecuador, should the villagers succeed in recovering their judgment. In the above Reply Motion, Deepak Gupta, Steven Donziger’s appellate lawyer, attached Gibson Dunn’s Merits Brief in the Sykes v. Mel Harris case in which Gibson Dunn's Estrada spells out exactly why private parties cannot seek injunctive relief under RICO. Advice to Gibson Dunn: Mr. Estrada and Mr. Mastro need to be re-educated about their ethical obligations. 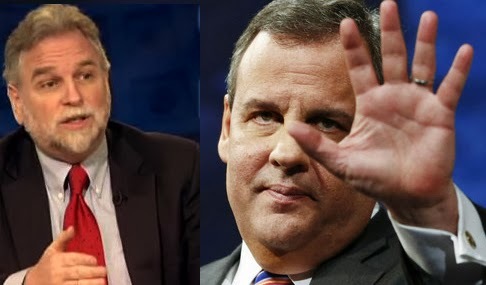 Who Ordered Christie's Attack Memo On Wildstein—Straight from the Randy Mastro Playbook? New Jersey Governor Chris Christie’s choice of a defense lawyer to lead him through his various scandals is becoming more and more curious. After all, that lawyer – Randy Mastro of the law firm Gibson Dunn & Crutcher – has his own rather extraordinary history of controversy and ethical problems. We say this from watching him over the last four years try to guide Chevron through one of the worst pollution scandals in world history. In the Chevron scandal – which has led to a record-breaking $9.5 billion court judgment against Mastro’s client – the former deputy mayor to Rudy Giuliani has left a trail of improper and unscrupulous behavior in his wake. **Mastro is a political fixer, not a trial lawyer. Since Mastro took over Chevron’s defense in 2009, the oil company has experienced a devastating series of courtroom setbacks. It lost the underlying case in Ecuador; lost unanimously before a three-judge intermediate appellate court; and lost before Ecuador’s Supreme Court, which affirmed the judgment unanimously in late 2013. Mastro’s team has lost several appellate court decisions on the Ecuador matter in the U.S. – including one just last week in the Ninth Circuit Court of Appeals. (The team also lost appellate court arguments on various aspects of the Chevron matter in the D.C. Circuit, the Second Circuit, the Third Circuit, and the Fifth Circuit.) Even the U.S. Supreme Court rejected Mastro’s effort to obtain an unprecedented injunction to block enforcement of the Ecuador judgment worldwide. **Mastro’s strategy has led to all kind of problems for Chevron’s management around the world. Just weeks ago, a Canadian appellate court excoriated Chevron for trying to evade jurisdiction in three countries. It also ordered Chevron to stand trial in Toronto on whether the villagers can seize the Canadian assets of two subsidiaries to pay for their judgment. (Chevron stripped its assets from Ecuador in anticipation of losing the case). The villagers are also pursuing Chevron assets in the courts of Brazil and Argentina; leaders throughout Latin America are being asked by Ecuador’s President to block the company from new business opportunities in the region until it cleans up its mess. **Many of Chevron’s largest shareholders are infuriated with how Mastro’s hyper-aggressive strategy is causing reputational harm to the company. In 2012, several shareholder resolutions stemming from the Ecuador problem garnered surprising levels of support. In fact, a whopping 38% of shareholders (representing $73 billion in assets) voted to strip Chevron CEO John Watson of his Chairman title, alleging a conflict of interest over the Ecuador matter. Several shareholders and a member of Congress have asked the SEC to investigate Watson for failing to disclose the Ecuador risk to shareholders. Read this take from Amazon Watch’s Ecuador-based human rights campaigner on Watson’s growing problems with the Ecuador matter. **Mastro and members of his team have been found by multiple courts to have committed ethical violations on behalf of Chevron. In Ecuador, the trial court imposed a punitive penalty after finding company lawyers threatened trial judges with jail time if they did not rule in its favor. A federal judge in Oregon fined Chevron and imposed sanctions after finding members of Mastro’s team used the pre-trial discovery process to “harass” a small legal non-profit that was assisting the villagers. For the Oregon judge’s decision read here; for the devastating details from the lawyer who asked for the sanctions, see this affidavit. **Mastro also hired Kroll, the private investigation company populated with former FBI and CIA agents, and paid them at least $15 million to set up a surveillance operation that targeted opponents of Chevron. We know this operation involved spying on Donziger and U.S. lawyer Craig Smyser when they were in Ecuador. Kroll also deployed six private agents to spy on Donziger and his family in Manhattan. Kroll CEO Daniel Karsen admitted under oath that the company had prepared “20 to 30” confidential reports on Donziger for Chevron’s use. This harks back to the infamous harassment that Ralph Nader suffered at the hands of General Motors when he wrote his famous critique of auto safety, Unsafe at Any Speed. **Mastro also deployed another member of the Chevron team, the Miami-based lawyer Andres Rivero, to offer a suitcase full of cash to a former Ecuadorian judge to coax him to testify in favor of Chevron. Mastro then traveled to Chicago to personally negotiate Chevron’s deal with the former judge. Chevron paid Guerra hundreds of thousands of dollars, a clear ethical violation as found by none other than Erwin Chemerinsky, a leading ethicist and the dean of the law school at the University of California, Irvine. That’s after another Chevron agent at Kroll was caught offering $20,000 to an American journalist, Mary Cuddehe, to pose as a reporter so she could spy on the plaintiffs in Ecuador. Cuddehe outed the entire scandal in The Atlantic. The memo created by Christie’s team trying to discredit his former ally David Wildstein is a classic example of Mastro’s handiwork. The approach is simple: when the facts are not on your side, try to assassinate the character of the witnesses who threaten to disclose information that might hurt your client. Mastro is sending a message to any other witness who might come forward to testify against Christie: if you proceed, we will find all the dirt we can and publicize it far and wide. This type of personal attack might be effective in politics, but it gets agonizingly close to obstruction of justice when there’s a federal investigation pending. Mastro’s problem is that he doesn’t know the difference between Christie’s political survival and Christie’s legal defense, where he faces potential criminal jeopardy. That strategy might be tempting to a bad-acting corporation when fighting impoverished indigenous communities in Ecuador. But it is not working. And it certainly won’t work when the adversary is the U.S. Attorney’s office and the leader of that office is a man of great integrity. Word on the street is that Mastro has been bragging that the “racketeering” case he brought against the Ecuadorians and their lawyers in New York has been a success. But that case is nothing more than a show trial helped along by a U.S. judge who clearly dislikes plaintiff’s lawyers, has made disparaging comments about the plaintiffs, and who thinks he can rule on questions of Ecuadorian law from Manhattan better than Ecuador’s Supreme Court can from Quito. While Chevron continues to lose ground in courts around the world, it has paid Mastro and his partners an estimated $400 million per year in fees for their (dis)services. It really doesn’t matter to a lawyer whether you or win or lose when you can rake in that kind of big money. More important to Mastro is being able to convince a client – in this case CEO Watson and his General Counsel R. Hewitt Pate – that progress is just around the corner. The worst result would be for the litigation to end. If it did, numerous lawyers at Gibson Dunn might find themselves without work. The lesson for Christie when it comes to Mastro: remember the caveat, buyer beware.